Nasturtiums are easy to grow, and an extremely versatile little plant. Not only can you pickle nasturtium buds as you would capers, and put the peppery leaves in salads, but you can also plant the climbing varieties of colorful nasturtium flowers at the base of your apple trees to eradicate codling moth. Other insects such as woolly aphids, aphids, mites and red spider are also repelled from plants if the nasturtiums are grow next to or under such plants. Easy to grow nasturtiums bring cheerful color to any garden. 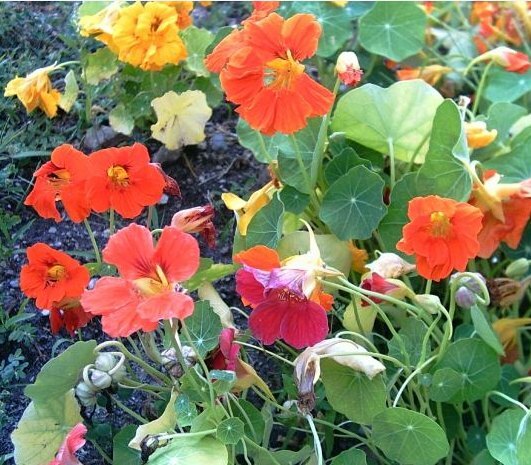 Nasturtiums can be both a perennial or an annual in areas that experience frost. They come in a range of colors from deep oranges, sunny yellows, reds, creams and even a rare white. Nasturtium plants love a well-drained soil they are good for sunny positions in rockeries, will cover banks, grow up trees or cascade from hanging flower baskets. When growing nasturtiums choose their site carefully. They like full sun or a semi-shaded position in frost-free areas. They will grow in any type of soil, but if the soil is too rich in nitrogen you will get all leaves and no flowers. Sow the nasturtium seeds directly into the soil in the spring, once the fear of frost is over, or at any warm time of the year. However, usually you can sow seed in warm-temperate climates from spring through to early autumn. In cold areas, only plant these out in the spring. The nasturtium seeds will germinate in 2-3 weeks and flowers should appear 10-12 weeks after sowing. They are best left along and neglected once they are established and the only problems you will experience with your nasturtiums are leaf miner which leaves a trail across the leaves. To get rid of leaf miner use a pyrethrum spray, soapy water spray, garlic spray or a white oil spray. 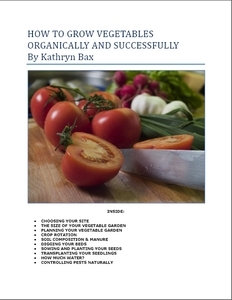 See our section on natural pesticides for details. Grow the trailing variety up the trunks of apple trees to help with codling moth. They will also help keep the grass down, as well as attract bees and other beneficial insects into your garden. Nasturtiums also used to be called Jesuit's Cress, because they were known to use the leaves as an addition to their salads. The flowers too are edible and make a colorful display among the green salad leaves. However, remove the pistils of the flowers as they will be slightly bitter if you don't. The leaves can be sweated down and used like spinach, or make a great addition to soups. If you wish to make mock capers from nasturtiums pick the green buds, pour boiling spiced vinegar over them. Seal and leave for a month before using. You can also make nasturtium butter. Thinly slice the leaves to taste, and mix with softened butter. Chill and use on bread or water biscuits. Finally, take the seeds of the nasturtium flowers and use them in your pepper mill as a substitute for pepper.